As you may know, Michele is Coming Clean’s Director of Outreach and Co-Coordinator of the Environmental Justice Health Alliance. We are posting this statement Michele originally wrote for https://www.episcopalchurch.org about chemical violence against women living in fenceline communities. I am in New York City at the United Nations representing Presiding Bishop Michael Curry of The Episcopal Church. As a third generation Episcopalian, this gives me great joy. My grandmother would be so proud, and I feel her spirit every day. Her name was Alma B. Roberts, and she considered it a blessing she found a church in Wilmington, Delaware that provided a safe space for her children and family to worship during the height of racial segregation. She was the epitome of love. My grandmother was a virtuous woman. She was grounded in her spirituality and, along with my parents, taught me the meaning of faith and service. While engaged in this experience, I couldn’t help but think about my own personal environmental racism story and the stories of others. Being in this space of committed, faith-filled, vibrant women, I thought about my aunt Loreda White, grandmother Paulyne Dickerson, and their sisters. Opening day of the United Nations 63rd Commission on the Status of Women would have been my aunt Loreda’s 99th birthday. However, due to the stains of racism and patriarchy, she died from a very painful cancer at age 86 after also living with no pension. Aunt Loreda was a domestic worker and later worked in a segregated bomb-making facility where the majority of the workers were women. All of her sisters, including my grandmother, were also domestic workers with no pensions. My grandmother Paulyne died in a state-operated, separate, and unequal tuberculosis facility. My aunt Loreda and grandmother lived along the Route 9 industrial corridor in Wilmington, Delaware, which got started as an answer to separate and unequal housing. Thanks be to God, my aunt Loreda was able to raise my mother along with her husband Charles White after the death of my grandmother. She eventually died from urethral cancer as well at age 86. “I live in the center of a toxic donut,” said Mrs. Hazel Johnson, a keynote speaker at a legal conference in Washington D.C., where I was in attendance about 30 years ago. Mrs. Johnson was a wife, mother, and grandmother who struggled to raise her family in Altgeld Gardens, a public housing project on the south side of Chicago. Her story went on to describe the years of care-giving she provided to her family and herself. Hazel’s husband suffered and eventually died from cancer; her children had asthma, a daughter miscarried, and she herself had diabetes and high blood pressure. Mrs. Johnson was not alone: her neighbors also lived through the same experiences. In essence, their lives were compromised daily due to what Mrs. Johnson considered to be the hundreds of hazardous waste and industrial facilities that surrounded her community. The proliferation of these facilities was the result of policies that allowed their concentration to be in low-income neighborhoods and communities of color. Mrs. Johnson learned about the impact toxins had on the human body, water, soil, and air, and how communities like hers did not have the right “complexion for protection.” She became a fighter for environmental justice. She became an organizer and activist grandmother who, on more than one occasion, would defy authorities by putting her body in front of a truck to block it from unloading hazardous materials. As I sat reflecting on these various stories, I gave thanks for the women who came before me. Women who were brave and courageous enough to create their own resistance. We must have a “do no harm” approach to creating and regulating chemicals. 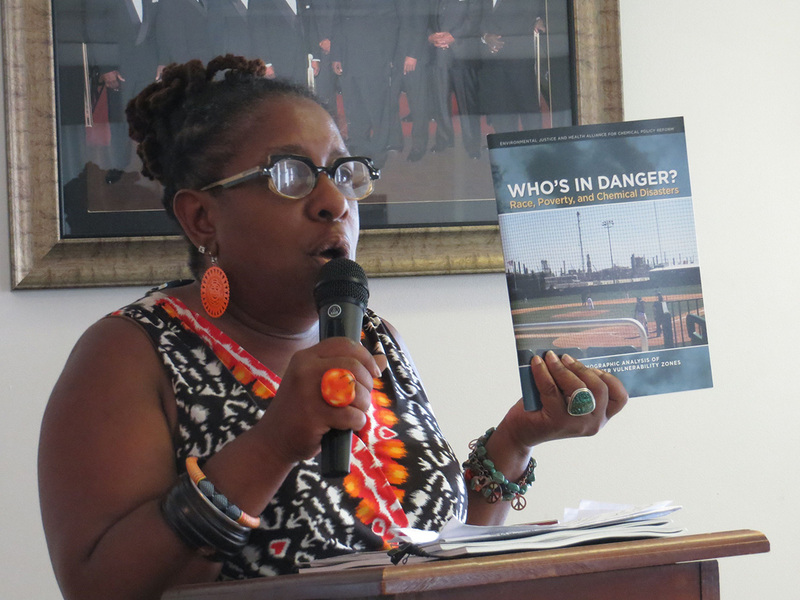 Too many of our sisters of color and the poor have been traumatized by chemical violence. This is indeed a reflection of man’s inhumanity to humanity. As we call for an end to gender-based violence, I hope that UNCSW will also see the need to include the narrative of chemical violence as well for the sake of Mother Earth and her children. Now is the time. Michele Roberts (Diocese of Delaware, Province III) is a scientist, advocate and 3rd generation Episcopalian. 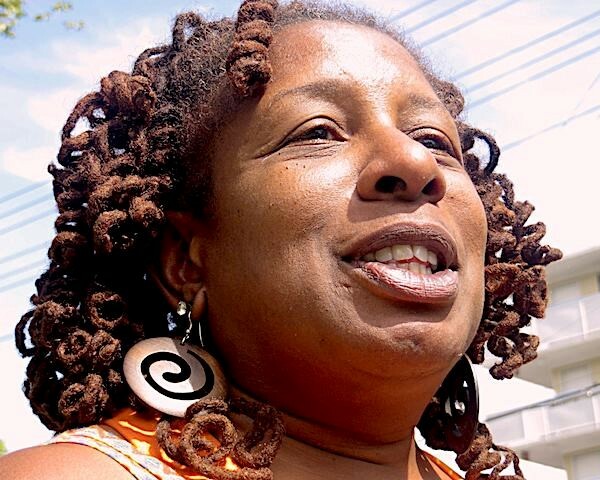 She is a founding member of Delaware Concerned Residents for Environmental Justice (DCR4EJ), an environmental justice ministry at the Episcopal Church of Saints Andrew and Matthew (Wilmington, DE). She is also National Co-Coordinator of the Environmental Justice Health Alliance for Chemical Policy Reform (EJHA), a national coalition of grassroots environmental justice groups, and she serves as the Director of Outreach for Coming Clean. She has participated in several UN COP meetings on environmental justice issues and climate change. Roberts has co-authored reports on environmental justice issues. She is also the environmental justice producer for a weekly radio program, the On The Ground Show: Voices of Resistance from the Nation's Capital, on Pacifica Radio station WPFW 89.3FM (Washington, DC).